The ceiling and stairs proved to be cool “artsy” shots! Tomorrow we’ll visit the “Taste of Stockholm” that we were fortunate enough to attend! June 7th and 8th: Stockholm, Sweden greets us with a Royal Wedding. “Opulent” does seem to be the appropriate word. Great shots. Great pictures! You know, I’ve been living here for all my life (over 50 years) but never been inside the City Hall. I must go there some day. Greetings from Stockholm and I hope you had a wonderful time here! Hi Peter. I know what you mean…sometimes the places closest to us we overlook. 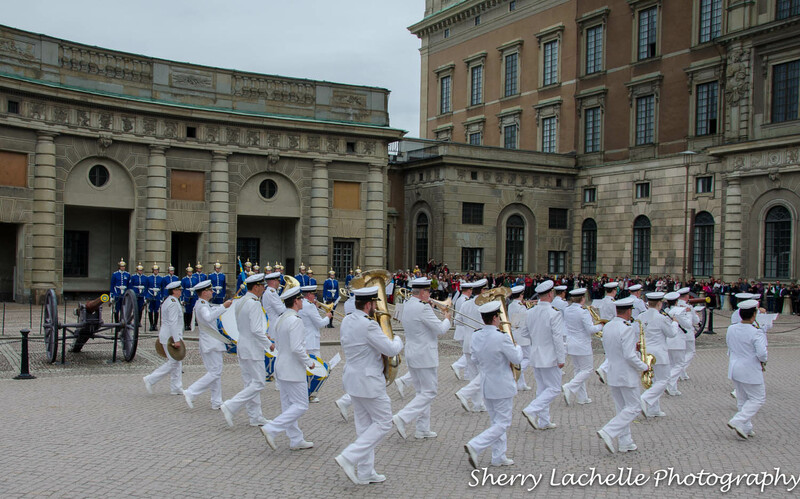 I loved Stockholm…only spent 3 nights there…not enough time! Love all your gorgeous pictures…..my favorite is the first photo….so cool! Wow! They must have high taxes to pay for all that. Just wonderful and I also liked the symmetry of the chairs! Wow. Another place I now have to go. We don’t have enough time to see everything! Somebody needs to change that. lovely framing in the top shot!